NOTE: The venue address has changed AGAIN - It is now 1111 Red River St. This time it was the Fire Marshall who said we couldn't use the space. FORTUNATELY, we found an awesome amphitheater 10 blocks away. It truly is awesome!! Dyn Inc. and CloudCamp are both known for disrupting the status quo in the technology space. Now they’ve come together to host a one-of-kind event and you’re invited. The Cloudy Awards at Dyn 138 Listening Lounge will celebrate some of the most innovative technology companies in the world, while showcasing an impressive lineup of emerging musicians. Throughout the event we’ll recognize the leaders in cloud computing, share innovative ideas and rock out. 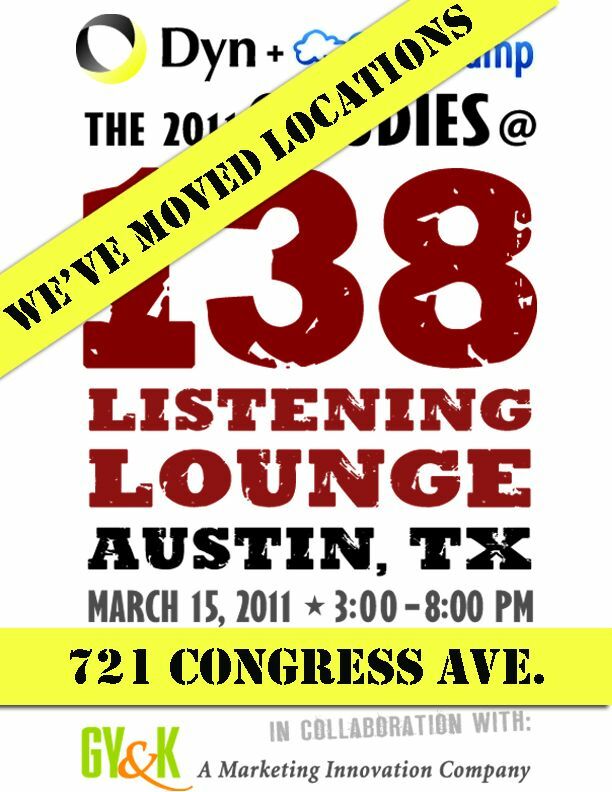 The entertainment will be alumni of the popular 138 Listening Lounge, an invitation-only live music venue based in a private residence in ‘Live Free or Die’ New Hampshire, the home of Dyn Inc.
CloudCamp App Workshop is a new event by organized by CloudCamp where Cloud App Developers can learn how to develop scaleable, reliable Cloud-based Applications. Whether you are building a consumer app, mobile app, an B2B app, or an application for your own company, the CloudCamp App Workshop will help you learn about the tools & services you need to get started in the Cloud. Interested in more about CloudCamp?